We are currently in Sheffield, staying at my mum’s house for a few days. Tomorrow is my Nana’s funeral. 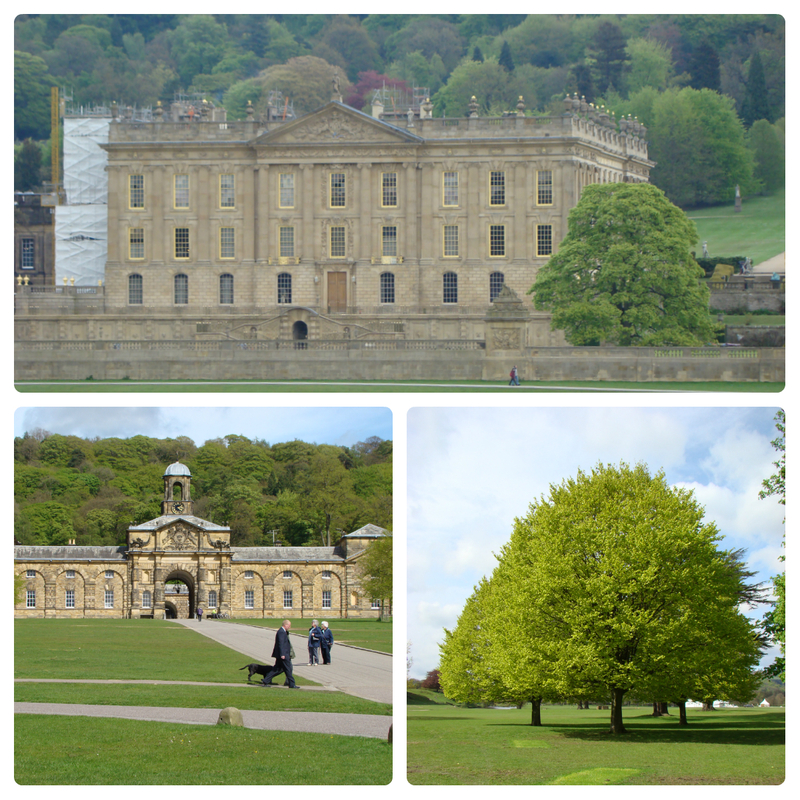 This afternoon the sun appeared so we headed to Chatsworth Park for a walk around the grounds. I have driven through Chatsworth a few times but never stopped before so we parked in the main car park and headed down towards the river. The views are stunning. 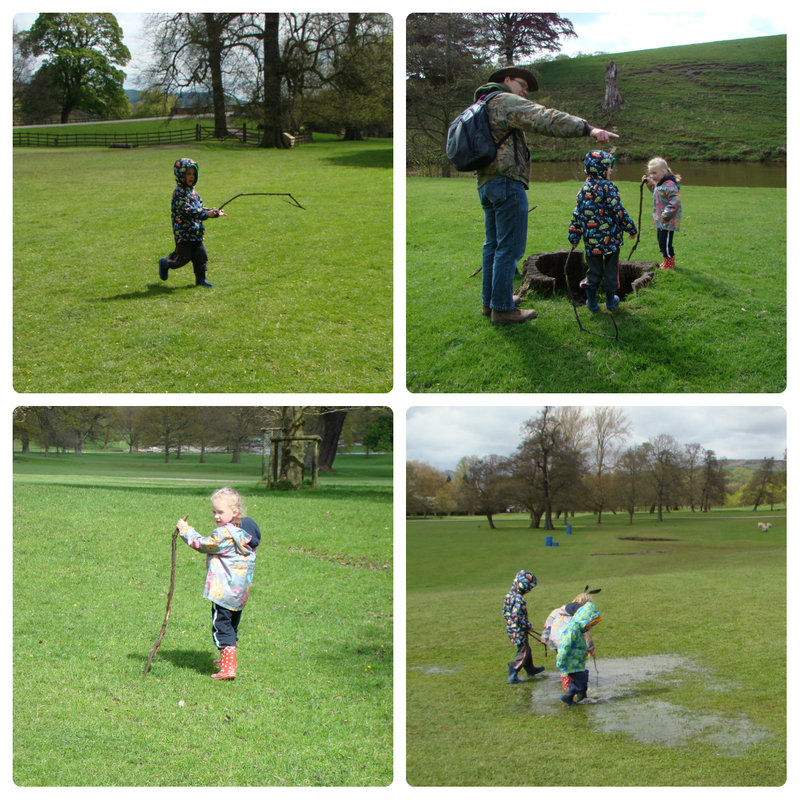 As we walked down the kids found sticks, of course! Sticks are good for poking in tree stumps, measuring how deep puddles are, using as a walking stick and several other things as well. We walked along the river for a bit, climbed into and over trees and tree stumps. We sat and watched ducks and other birds as we had a drink and a snack. We collected several other “treasures” including more sticks, feathers and some wool. 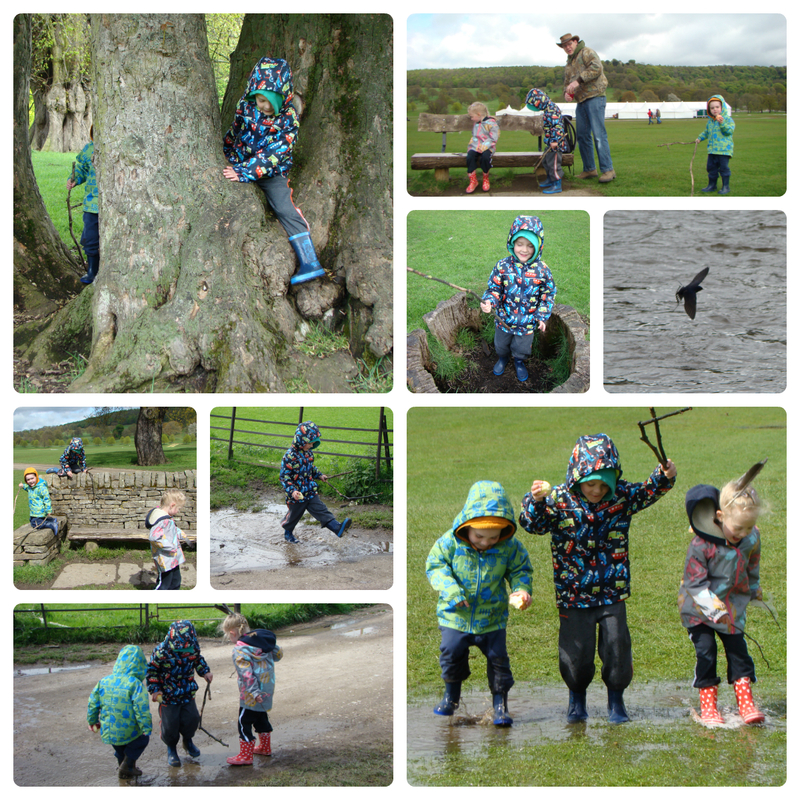 Then we moved away from the river and the kids found lots of puddles to splash about in. We headed up hill slightly, towards some trees and the kids all enjoyed running around. Then we just had time to go back to something we’d seen as we arrived and wanted to end our walk with. I’m not really sure what it is; Gordon described it as a “sort of fort” It is steps up and over a small pond, with what looks like a courtyard at the top overlooking the pond. 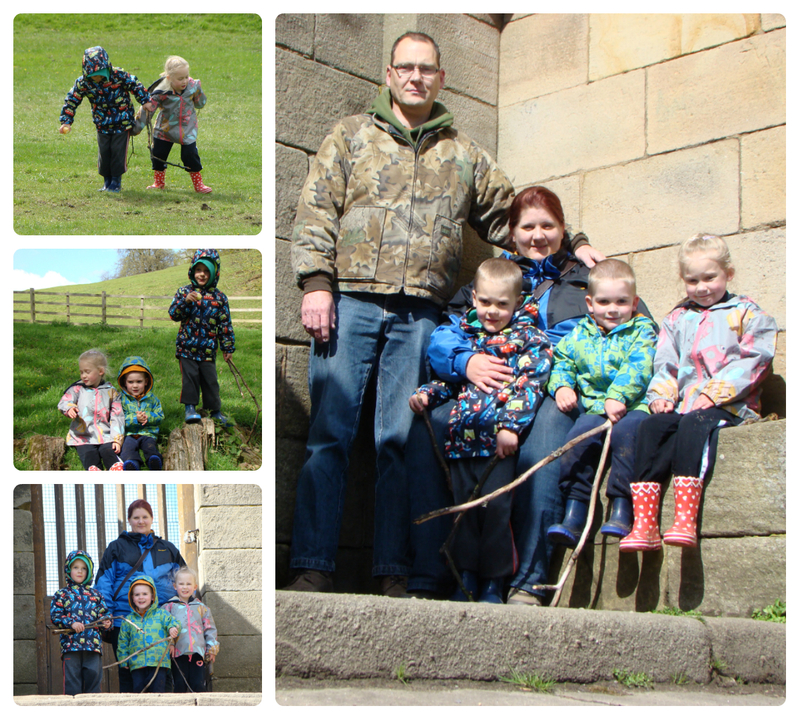 We got some good photos of us all though, and even managed one of all of us together by using the timer on the camera! 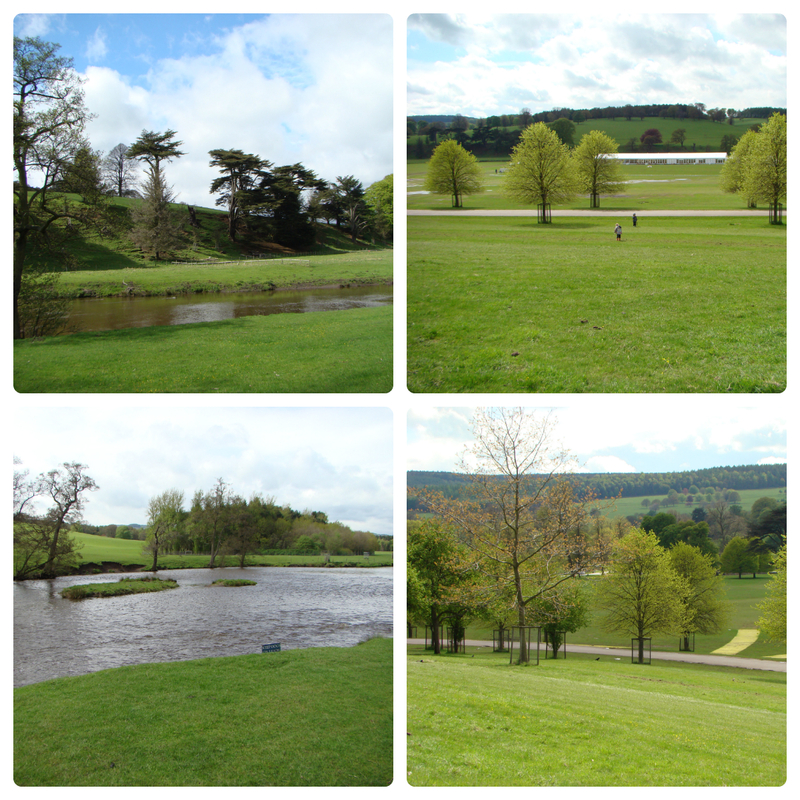 We had a lovely afternoon walking around Chatsworth Park and the sun shone for the whole time we were there. We’ll definitely be going back and exploring more next time we come to Sheffield. I remember visiting here when I was a child with a friends parents and having just the same sort of day you all had. I had quite forgotten until seeing your photos, just goes to show what lovely memories you are creating with days like this for your children. A perfect Country Kids post, thank you for linking up. What beautiful pictures. I’ve always wanted to visit Chatsworth and now you’ve made me even more determined!